Will e-scooters be coming to Valley streets? WESLACO — Valley transportation officials are weighing putting electric scooters on city streets. Electronic scooters, e-scooters for short, are similar to bike-share programs where riders pay a small fee to activate and unlock the scooters to cruise streets and sidewalks at up to 15 to 20 mph. “They go fast and if you’ve seen them, you’re really using them for fun — and it is fun,” said Ron Garza, executive director of the Lower Rio Grande Valley Development Council. He believes the e-scooter could be an accessory to a Valley bike-share program. “But if you really need to go from Point A to Point B, the good thing about scooters is you don’t sweat as much,” he said. Garza and other council members, however, probably don’t want a repeat of the “Austin scooter war” earlier this year. Downtown Austin was overrun with renegade e-scooters in April, when e-scooter firm Bird put some of its rental e-scooters on the street. Why not? The city had no regulations which dictated otherwise. 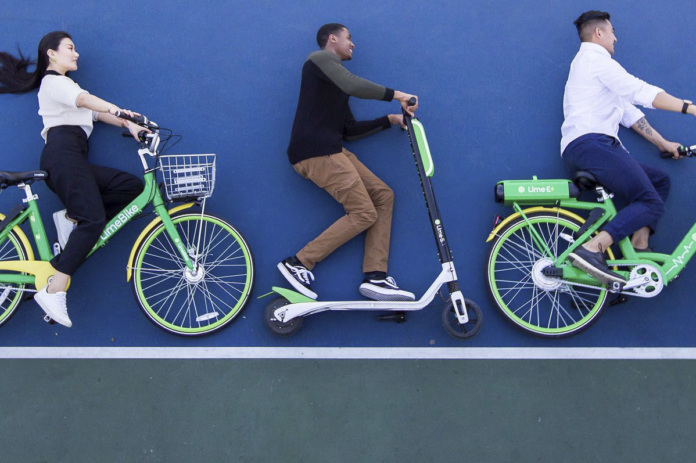 When no immediate action was taken against the dockless scooters, rival scooter company LimeBike put more than 200 of its Lime-S e-scooters on the city’s streets, too. As the dispute escalated, it was quickly labeled the “Austin scooter war” as city officials scrambled to come up with new laws to regulate a decidedly 21st-century problem. San Francisco and Washington, D.C., also issued emergency regulations earlier this year to try to curb the proliferation of e-scooters on their streets, too. A scooter-sharing system is a service in which electric kick scooters are made available to use for short-term rentals. They are similar to bike-share systems and in fact many scooter-sharing companies also offer bicycles. Scooters are generally dockless, meaning that they do not have a fixed home location, and are dropped off and picked up from arbitrary locations in the service area. Dockless e-scooters started to roll out in cities like San Francisco, Washington, D.C., Los Angeles and Austin in late 2017 and early 2018. Rather than seeking regulatory approval, the companies deployed scooters on sidewalks independently, leading to very quick growth — as of late May, e-scooter firm Bird had reached a valuation of $1 billion — but causing significant disruption and backlash from local governments. Cities have responded to complaints that scooter riders are blocking sidewalks and riding on sidewalks instead of using bike lanes and “terrorizing” pedestrians and motorists.